Tenuously, an exhibit from UICB certificate alumna and current visiting instructor, Tatiana Ginseberg, will be in the K. K. Merker Gallery through June 12th. 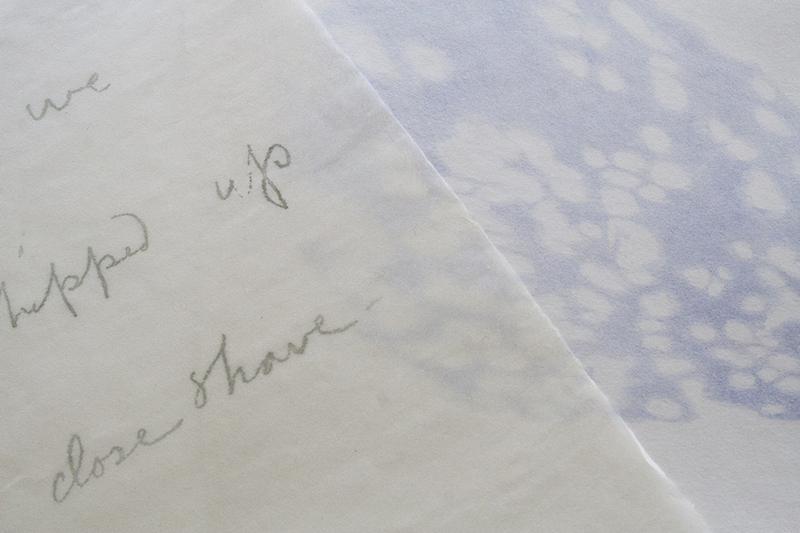 Tatiana makes drawings, prints, installations, and books, most of which use handmade paper. Originally from New York City, she studied at the University of Iowa Center for the Book before spending two years in Japan researching naturally dyed papers under a Fulbright grant. She teaches printmaking, papermaking, and artist's books, and exhibits internationally.